When it comes to coordinating looks for the groom and groomsmen, opt for a tonal look (same color family, varying shades) as opposed to exact matches. Play up accent colors found throughout the wedding party, like the bridesmaids' flowers, as a way to unite the entire group. Find the complementary colors. 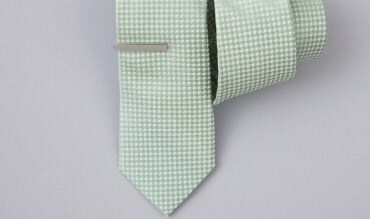 Example: Your tie and pocket square shouldn't be an exact match. Instead, the color of your pocket square should complement your tie. There's no reason to fear pattern. Instead, use it to show personality on your most special day. It's A-OK to mix and match patterns. Wearing a striped tie? 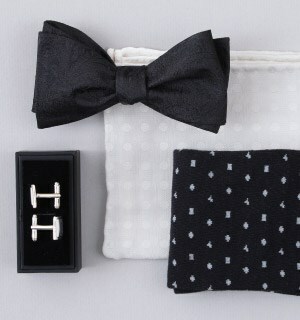 Add a polka dotted pocket square. Polka dotted tie? Try a solid pocket square. Want to stand out from your groomsmen or ushers? 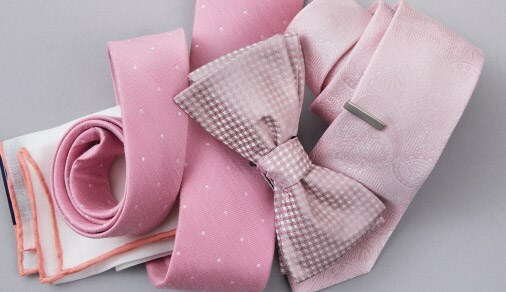 Dress groomsmen or ushers in ties featuring the same color family as the groom but in different patterns. 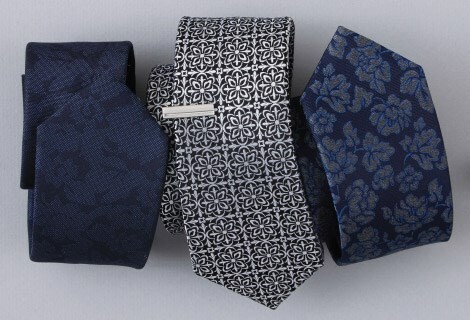 A tie bar is the perfect way to complete your look. Clip yours between the third and the fourth button from the top of your dress shirt. Traditional boutonniere not for you? 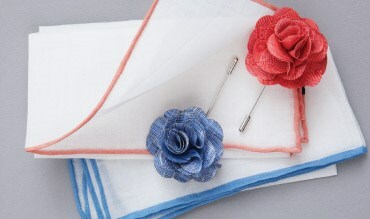 Replace it with a lapel flower, always to be worn on the left lapel of your jacket. 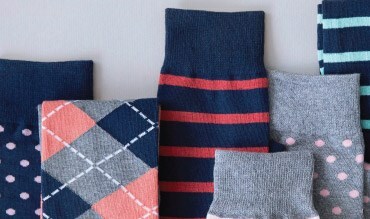 Socks are a great (and inexpensive) gift for the men in your wedding party, and can be worn well beyond the wedding day.